Terra Pave | Pimentel Paving Inc.
Terra Pave is an outstanding option when you want to achieve a warm, rustic look that complements its surrounding terrain. 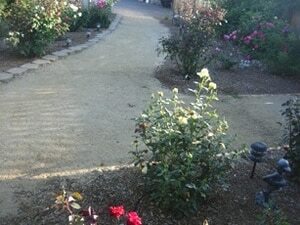 Terra Pave is made from all-natural pine tree resin. Its binding agent is comprised of byproducts from forest and paper product industries that follow sustainable harvesting practices. 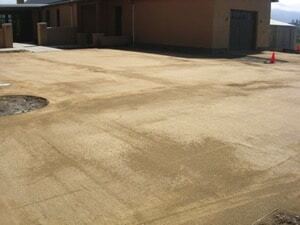 To achieve a desired surface color, Terra Pave’s clear resin-based binder is combined with an aggregate—without the use of petroleum-based additives. The end result is an environmentally-friendly surface that seamlessly matches the natural area in which it’s used. This makes it a great choice for sensitive riparian and wetland areas where water quality protection is essential. We’d enjoy discussing our Terra Pave services with you.